Stained Glass Windows, Glass Gifts, Frames. Greenwood Village, CO.
With more than 30 years of experience, Original Glass Works is a locally owned and operated store in Greenwood Village, Colorado, that sells and installs stained glass windows for residential customers. 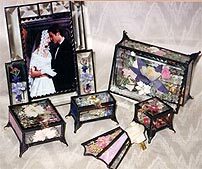 We also sell glass gifts, including frames, candleholders, night-lights, sun catchers, card holders, and a huge assortment of boxes, made with Colorado Wild Flowers. .Contact us for more information about our beautiful and unique products today. We Design & Install Windows. Since 1971, Original Glass Works has been providing our customers with fast, friendly, and professional service. Each window is a one of a kind piece of art that will not be duplicated . We even work one-on-one with you to meet your individual needs. 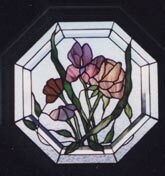 Our talented staff can also take a design you created and replicate it in stained glass. 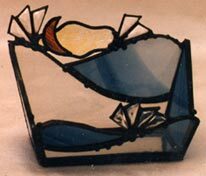 From beautiful stained glass windows to glass gifts, including frames, candleholders, night-lights, and sun catchers, we are dedicated to creating beautiful glass objects you'll enjoy for years to come! 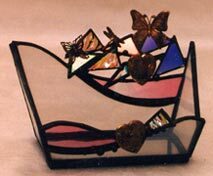 Our glass gallery has beautiful examples of our creations. 10% Off Any Custom Work! candle holders, night-lights, and sun catchers!